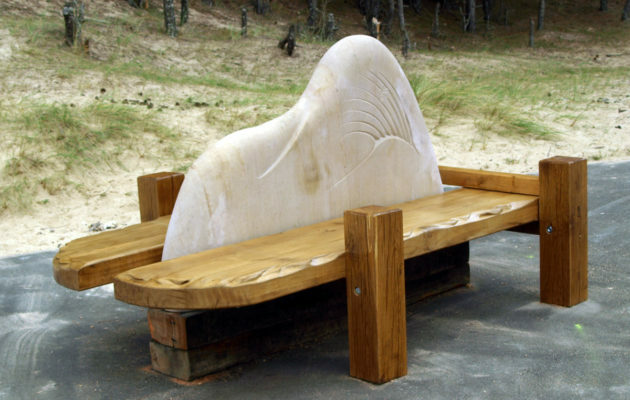 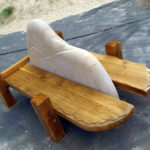 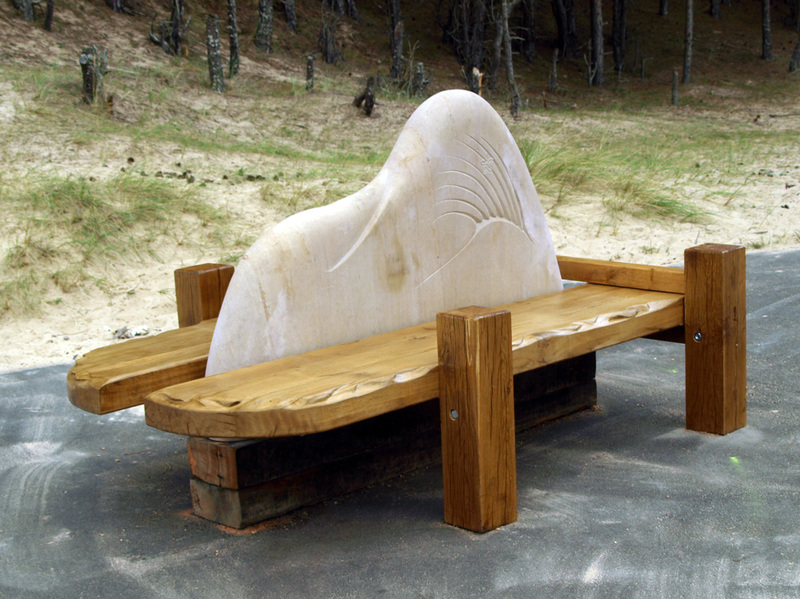 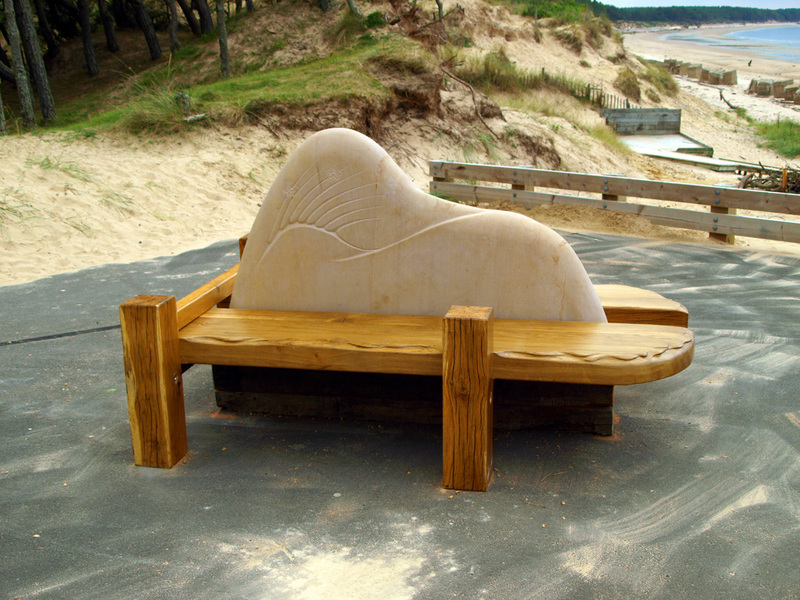 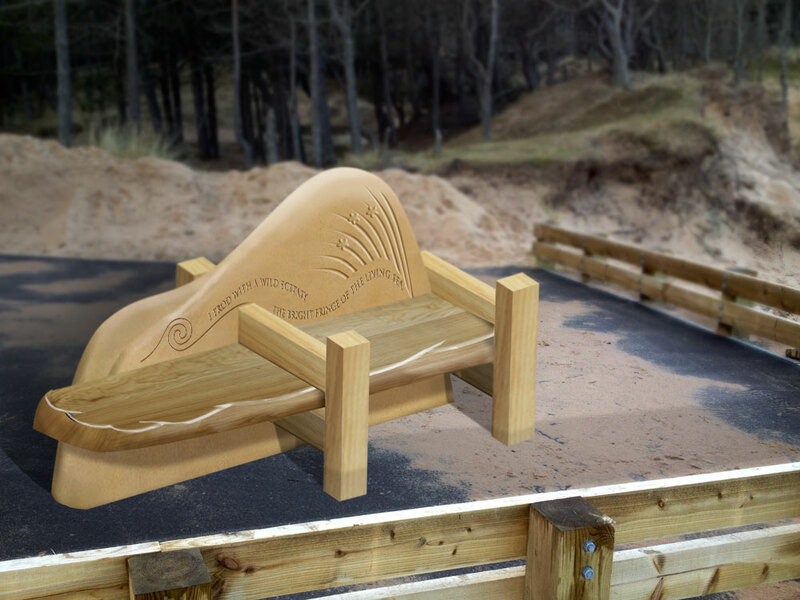 This is a double-sided bench which I was commissioned to produce for Roseisle Beach by the Forestry Commission, Scotland. 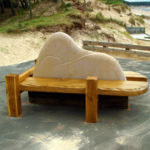 The back-rest is made of Clashach sandstone. 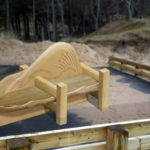 It is shaped to emulate sand dunes and is carved with swaying grasses. 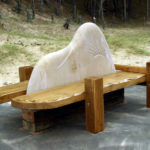 The two benches are made from oak and carved along the fronts to resemble waves lapping on the shore. 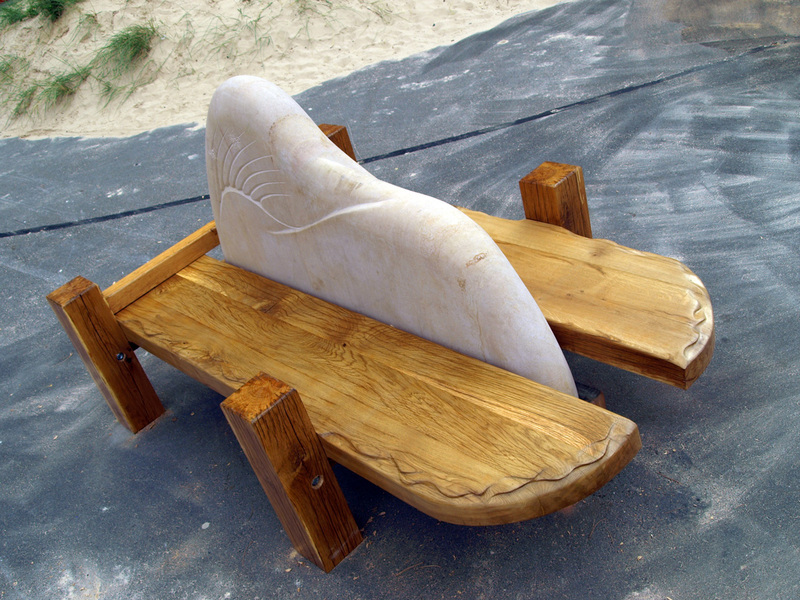 The legs are also made from oak and were designed to look like wooden groynes heading out to sea. 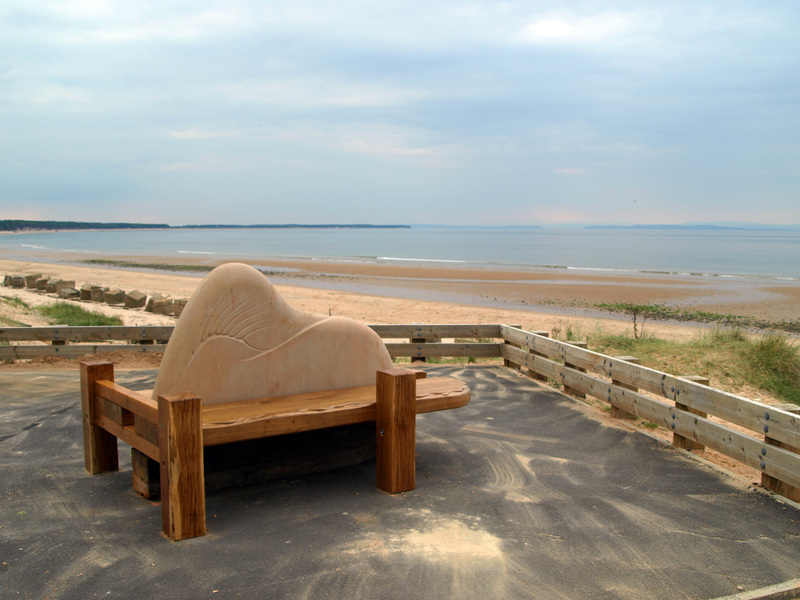 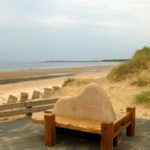 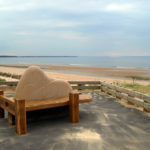 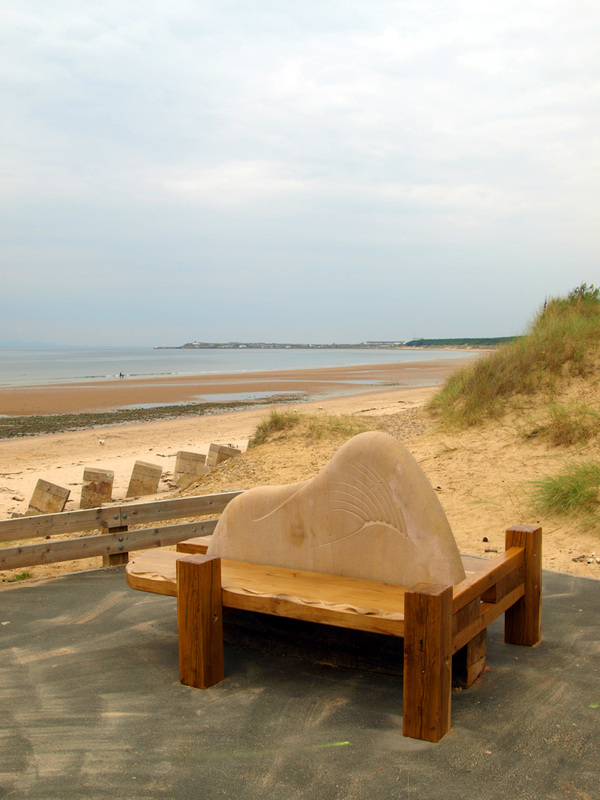 The bench is positioned on an elevated area overlooking the beach, with views of Burghead, Findhorn, Culbin and across the Moray Firth, for the use of physically and visually impaired members of the public.